How to Pay for Rehabilitation? How to Protect My Job During Rehab? Will My Social Life Change? How to Detox from Alcohol? 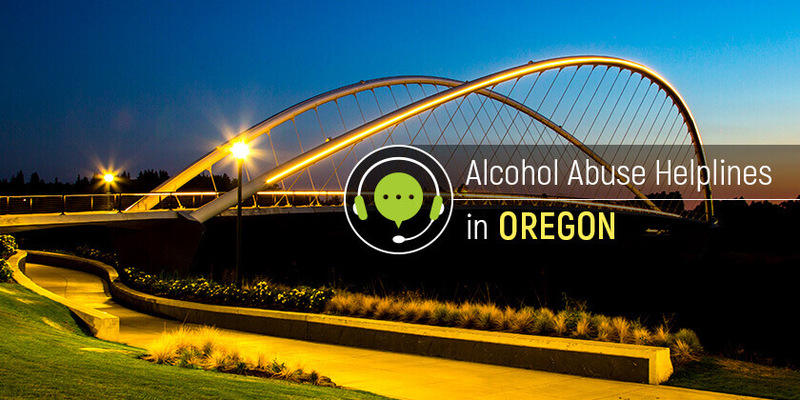 Reach out for help in Oregon and connect with qualified professionals who will provide counseling and treatment help for alcohol addiction. Call these alcohol helpline numbers to start. Delphi Health Group provides access to a wide range of alcoholism treatment services in the facilities across the state, which are usually covered by insurance. The trained representatives offer valuable advice and counseling to those in need of rehabilitation. Call the toll-free alcohol helpline at (866)-520-2708 to get access to these services 24 hours a day, 365 days a year. Call the Military Helpline at 888-457-4838 for support and assistance with alcohol addiction. This alcohol abuse hotline is a 24-hour toll-free, anonymous, and confidential helpline that provides servicemen, veterans, and families of veterans and servicemen with support, resources, information, and treatment services for alcohol addiction and other mental health issues. YouthLine is a helpline that provides answers and solutions to issues affecting teens. Teenagers with alcohol addiction problems can call Oregon Youthline at 877-968-8491 to connect with a well-trained staff that will provide resources, support, and information for alcohol recovery. Representatives are available for teens 4PM to 10 PM Pacific Time. Adults can reach the alcohol helpline at other times. The hotline professional staff provides callers with information and resources needed to be alcohol-free. Call agents also make referrals to alcohol treatment facilities in the state. Call the National Helpline number 1-800-662-HELP (4357) to connect. Connect with this helpline any time of the day, and any day of the year. Alcohol treatment services, resources, and information are a call away from Oregon residents who struggle with the addiction. Call these alcohol hotline numbers today to access help. The information provided on this website in is not a substitute for professional medical advice. If you believe you have a medical emergency, you should immediately call 911. © 2019 AlcoRehab.org. All Rights Reserved.